(NaturalNews) Trillions of minuscule cells occupy the human body. Surprisingly, most of them aren't human, but instead are microbial in nature, meaning they're made up of bacteria, archaea, fungi, protists and viruses. Together, these microbes constitute the "human microbiome," a term that is still relatively new but is being used more frequently as new science emerges. Our bodies, which serve as a host to these microbial communities, benefit from the complex relationships between various types of microbes, affecting our overall health and the onset of certain diseases. While gut microbes are notorious for being highly influential to our health, important microbial communities exist in our lungs, skin, and nasal passages. However, gut microbes have been studied extensively and are considered to be our body's most diverse microbial community. With the large intestine hosting 100 billion to one trillion cells per milliliter, it's among the most dense microbial ecosystems ever observed, say scientists from The American Academy of Microbiology. Gut microbes behave as an efficient bioreactor, facilitating the extraction of energy from digested nutrients. The gut's microbial community is critical in protecting us against pathogens as it constantly communicates with our immune system. 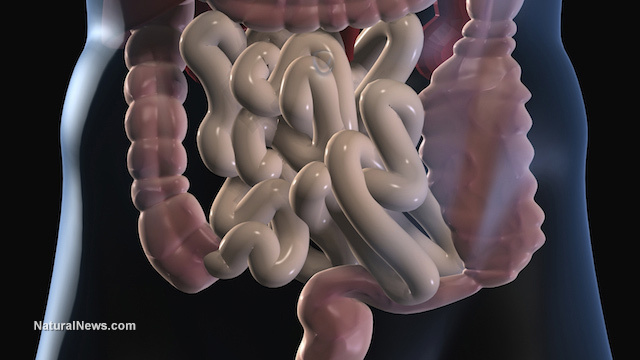 Changes in the complexity of the gut microbiome have been linked to a number of diseases including inflammatory bowel disease, autoimmune disorders, and diabetes and obesity. One of the most recent studies involving the gut microbiome identifies a connection between changes in gut microbiota and the onset of type 1 diabetes (T1D). Researchers from the Broad Institute of MIT and Harvard, Massachusetts General Hospital (MGH), and the DIABIMMUNE Study Group followed infants who were genetically predisposed to the condition. They found that those who developed the disease experienced a drop in microbial diversity, including a "[D]isproportional decrease in the number of species known to promote health in the gut." Published by Cell, Host & Microbe, scientists believe the new research could help pave the way for microbial-based diagnostic and therapeutic options for those with T1D. The possible new connection was made when a team of researchers led by Ramnik Xavier, an Institute Member of the Broad and Chief of Gastroenterology at MGH, followed 33 infants (out of a much larger cohort of Finnish and Estonian children) who were genetically predisposed to T1D. From birth to age three, scientists collected stool samples, analyzing the composition of their gut microbiome. "In the handful that developed T1D during this period, the team observed a 25% drop in community diversity (in other words, in the number of distinct species present in the microbiome) one year prior to the onset of the disease," reports the Broad Institute of MIT and Harvard. "No matter which species are present, they encode the same major metabolic pathways, indicating that they're doing the same jobs". Researchers also noted a decrease in bacteria known to regulate health in the gut, as well as an increase in potentially harmful bacteria known to promote inflammation, highlighting previous evidence linking inflammation of the gut to T1D. The study also followed infants who did not develop T1D, which allowed scientists to observe the normal development of the microbiome during infancy. While bacterial species varied between individuals, scientists observed that the biological functions served by the various species within the microbiome remained consistent over time and from person to person. "Whether the bacterial community is very small, as it is in early infancy, or if it's larger as it is later in life, the community is always serving the same major functions regardless of its composition," said Aleksandar Kostic, a postdoctoral fellow in Xavier's lab.